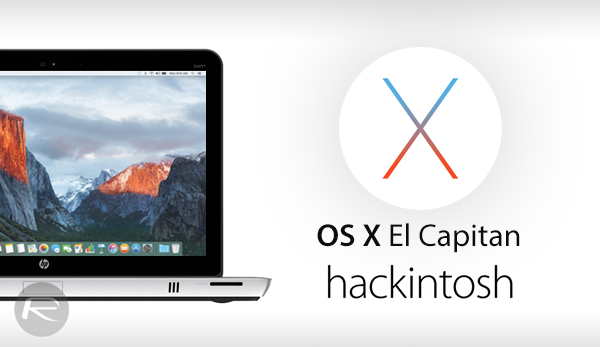 As you may know already, OS X El Capitan is available to download now. Mac owners from all over the world are reaping the benefits of having the latest and greatest version of OS X installed. But what about those who want to enjoy all that OS X El Capitan has to offer on a PC? Just a few days into the the El Capitan release, the powerful UniBeast tool has been updated to now support the hackintosh installation of OS X El Capitan on PCs. Here’s a step-by-step guide to help you through the process. 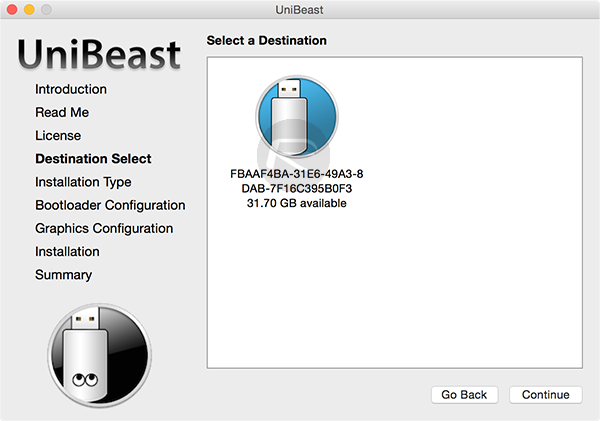 Access to a Mac for downloading OS X El Capitan from the Mac App Store, and preparing the UniBeast USB Drive, which is necessary for the final installation. A USB flash drive with 16GB capacity is recommended. Be aware that the drive itself will be formatted as part of the process, so any documents or files need to be backed up prior to beginning. An Intel-based PC capable of running OS X El Capitan. This one is entirely up to you, but we would always recommend performing a full backup of your system prior to attempting an installation of this nature. By doing this, you then have the option and power to go back to a working installation should any issues occur during the process. 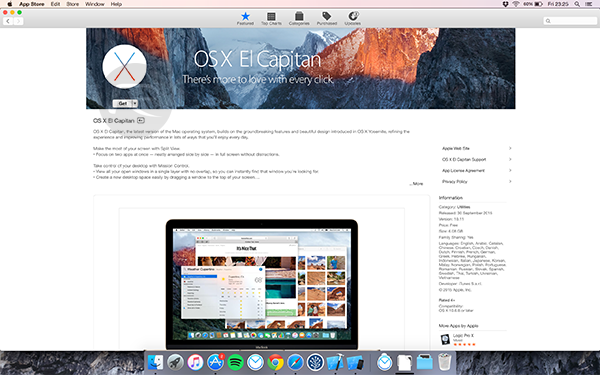 Step 1: Get a copy of Apple’s OS X El Capitan from the Mac App Store. Launch the Mac App Store on the Mac and download OS X El Capitan using your Apple ID. 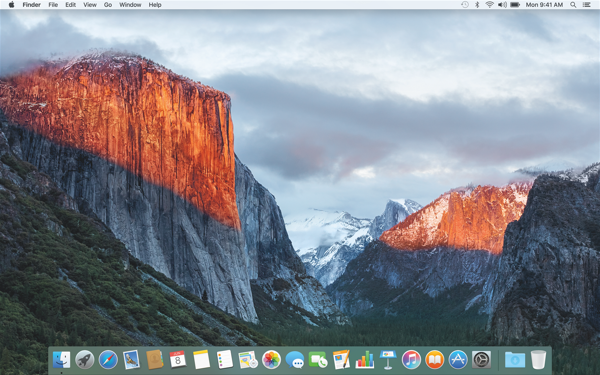 Don’t worry about cost, it’s free: Download OS X El Capitan 10.11 Final Version For Your Mac Free Right Now. 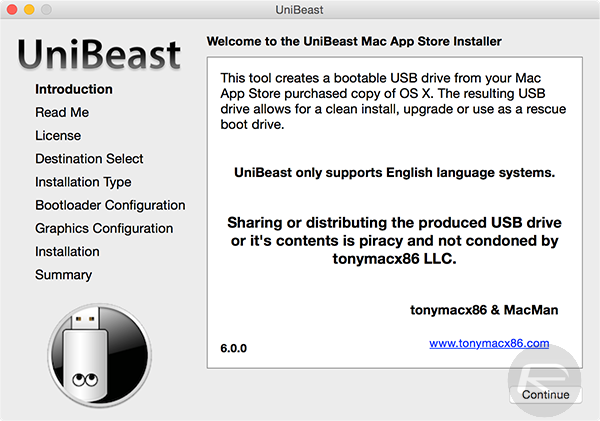 Step 2: Download the latest version (version 6.0.0 at the time of writing) of UniBeast that is currently being offered on the tonymacx86 site here. Step 3: Now that you have OS X El Capitan downloaded, and have a copy of the latest UniBeast, you need to create a bootable USB drive containing the El Capitan setup customized for installing on a hackintosh PC. Plug the USB drive into your Mac and launch the Disk Utility application in OS X. 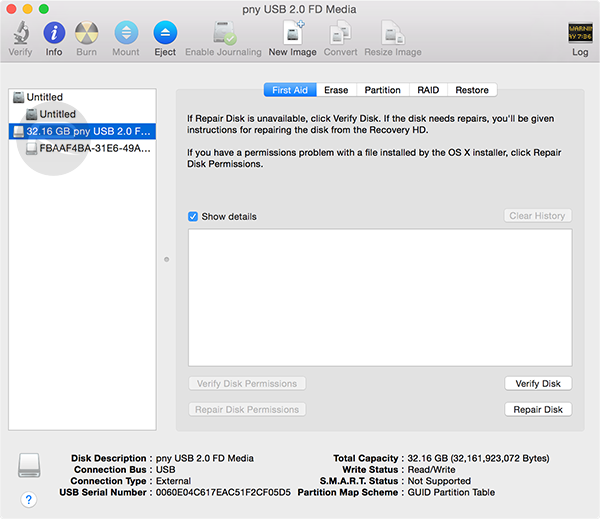 Select the relevant USB drive in the information pane on the left side of Disk Utility. Step 4: Ensure that the Partition tab is selected from the top menu, then click Current in Partition Layout menu and select 1 Partition from the drop-down list. 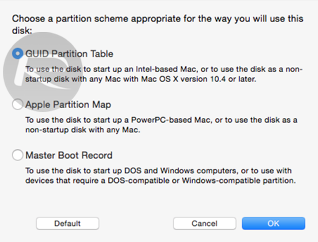 Step 5: Click the Options… button that is displayed under the partition box. Make sure that the GUID Partition Table option is selected. Click OK to continue and dismiss the panel. Step 6: The main interface contains a section entitled “Partition Information“. Within this section, click on the Format dropdown menu and make sure that Mac OS Extended (Journaled) is selected. Click Apply and then on Partition. Step 7: Locate the UniBeast executable that was downloaded as part of Step 2 above and run it. If you receive any kind of error from the tool, please ensure that the installer for OS X El Capitan that was downloaded from the Mac App Store is located in the /Applications folder. It should be called “Install OS X El Capitan.app”. UniBeast by default looks in this location and will provide an error if it can’t find it. Step 8: Skip through the first few UniBeast screens until you are provided with an option to choose the relevant USB drive in the “Destination Select” screen. Select the correct USB drive that you have partitioned in Disk Utility and then click Continue. Step 9: At the Installation Type screen, choose El Capitan and click Continue. Step 10: At the Bootloader Configuration screen, choose UEFI Boot Mode or Legacy Boot Mode. Click Continue. Step 11: An optional step; you can configure graphics option from the Graphics Configuration screen as well. Click Continue to finalize your selections. Step 12: Verify the chosen options and click Conitnue. You will be required to provide administrator privileges, so when prompted, enter your Mac admin password, and click Install. Provided the installer is located in the /Applications folder, UniBeast will then work its magic and create the bootable USB drive. When complete, the drive will contain a functioning version of the latest OS X El Capitan that can then be used to install on a compatible, Intel-based PC. Step 13: Now we move onto the PC part of this whole process. Insert the newly created USB drive into the PC and make sure that the machine that you want to be a hackintosh is set to boot from USB via the BIOS settings. Step 14: Turn on your PC and boot from the USB drive. When you arrive at the Clover boot screen, choose the Boot Mac OS X from USB option. Now when the OS X installer loads up, set the desired language from the available options. Step 15: Now you need to format the destination drive on which you are going to install El Capitan. From the menu bar on top, click on Utilities > Disk Utility. Step 16: Select the destination hard drive from left panel and then click on Erase button. Give the destination disk Macintosh HD name (you can actually name this anything you like, but staying with Apple’s HDD naming conventions makes sense), and make sure that the chosen Format is to set OS X Extended (Journaled). Select GUID Partition Map as the Scheme. Step 17: Click Erase. Once done, close the Disk Utility window and install El Capitan onto the destination hard drive. Now once the installation is complete, your PC will restart automatically, but it won’t boot into OS X as the system drive hasn’t been made bootable yet. Step 18: With the machine powered down, boot it up once again from the inserted USB drive. When you arrive at the Clover screen, this time select the Boot Mac OS X from Macintosh HD option. When prompted, complete the OS X El Capitan setup as per the on-screen instructions. It is important to note that since MultiBeast 8.0 isn’t ready as yet, you will need to boot into El Capitan on your hackintosh PC using the USB as explained in Step 18 above. 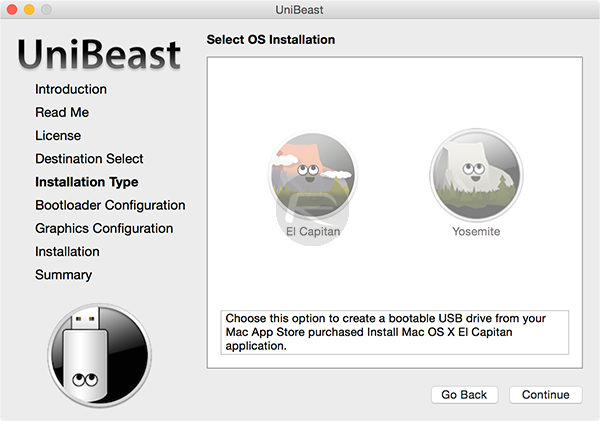 When MultiBeast 8.0 is ready and released for El Capitan, you will no longer need to boot into OS X using El Capitan installer USB drive, we will update this guide accordingly whenever that happens. So, there we have it. Apple may design and develop an excellent desktop platform to be used in conjunction with its own hardware. But thanks to the power and dedication of the technically minded, it’s entirely possible to get the latest version of OS X on a Windows PC. Enjoy! Anyone else get this and fixed it? Seems to be stuck on a black screen with a white Apple and a progress bar that isn’t doing squat. Hello can I have El Capitan OSX on? When I do the loading bar apple logo (boot) reboot when it arrive to the half. Pointless. Need to make a guide that explains how to do it without having a mac. I have, this was one of the tabs that I just had to comment on ^^. I managed to find a VM image of El Capitan and then made the USB drive through that with this guide. I guess that as long as you have the correct file format, partition and table it should work. Although I’m not sure how u can format the drive in HFS+ in Windows. Hi, can you confirm that my PC is compatible? I have tried with unibeast. Getting Kernel panic everytime i tries to boot from USB in the bootloader. Please help me. Thanks in advance! I’ve built a number of hackintosh’s over the years without issue, but I’m getting the circle with line through it during the install boot up. I have a high end Nvidia video card and tried the nv_Disable=1 arg, but each time I try to enter it, the underscore won’t type correctly. Any ideas? hi, can u explain bit more how to resolve this issue, cant get to installer, unrestricted circle appers when 3/4th bar reaches at apple logo screen ..? is ther any way we can install el capitan mithout mess ??? Yes, but only if you can find a custom kernel. And you can’t point-upgrade it (as in, 10.11 to 10.11.1 and so on) until a newer custom kernel comes out. It’s possible, but I recommend doing Yosemite because it’s not receiving anymore point-upgrades (10.10.5 is the final point-upgrade). Yeah, Mavericks was great. It was lighter, had better battery life and looked less skeumorphic than Mountain Lion. (some say that’s a bad thing, but IMO Mavericks has the best mix of skeu and non-skeu than the rest). MAC refers to MAC addresses, not the computers. Type them as “Mac” not MAC, please. Hahaha not everyone is as technical as you. Goodbye troll. What? Tell me what he sells, other than his official merchandise. What’s that? Nothing? Yeah. I’d like to advise you that his versions of Chameleon (named Chimera) and Clover are also open-source because they are required by the original software’s license agreement. Stupid ignorant trolls. YES. +1 to Clover being harder to configure. I hate hate hate hate putting boot arguments because it’s so confusing, plus Windows NEVER boots when using Clover (even with NTFS drivers!!! ), so I have to go into my UEFI and put my Windows partition first to prevent Clover from loading! BUT, it’s a worthy trade-off since Chameleon/Chimera are for standard, non-UEFI mobo’s and don’t even work on my PC for some reason. boot with -v and -x arguments. you should see a log on your screen. when it crashes, the log will stay and you can take a picture and upload it here so we can find out the issue. Would you like me to come over and install it for you, too? Would you like me to come over and install it for you, too? Geez. There are ways to get it without having a Mac. Do some research. Or better yet, don’t do this. You are the type that will screw up your PC and then come back here to blame the author. Actually yes, come over and bring some brewskies. 🙂 I’ve built quite a number of hackintosh systems. But not everyone has access to a mac. I could go to my local iStore here in South Africa I suppose, and prepare a usb stick there if they’d allow me. I’m getting the installer is not complete error. any way to work around it without downloading the installer from Apple’s store?? because I can’t seem to download it. how to run on amd processor? Probably easier to do a Mac VM on a PC. Are you here to brag or do you seriously wonder? Is it possible to dual-boot with Win10 ? Any guide ? I used to do that a few years ago with Win7 and some older version of OSX. A guide would be appreciated. Use AptioFix2Drv it will fix your problem. OS X has no support for AMD CPUs. Wasting your time. Yes it is. Create 2 partitions. 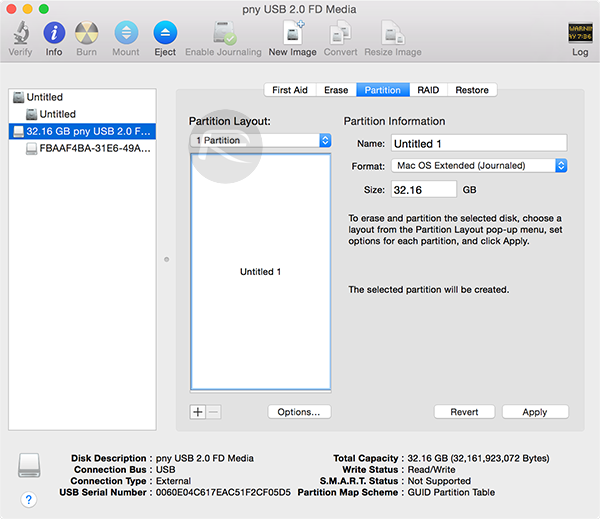 1 Partition for OS X and 2nd Partition for windows. If your installing windows in UEFI mode then format the partition for windows to Mac OS Journaled not Fat32 then format the windows partition in the installer. Black screen indicates Graphics Problems or PCI Root issue. No you can not! is there any mac that has a AMD CPU? No there isn’t. Don’t waste your time. Get a intel pc instead. AMD is trash anyway. No. HD 2500 doesn’t support QE/CI.